1st April: PALM SUNDAY: 10:00 a.m. Western Rite Terce sung at the Saint Aldhelm Chapel in Saint Dunstan's Parish Church, Saint Osmond's Road, Poole, BH14 9JG followed at 10:30 by the Liturgy of the Antiochian Orthodox Church. 15th April: LOW SUNDAY: No Western Rite Terce today but at 10:30 a.m. the usual Liturgy of the Antiochian Orthodox Church at Saint Dunstan's Parish Church, Saint Osmond's Road, Poole, BH14 9JG. 17th April: FEAST OF THE ANNUNCIATION (transferred from the 7th April): No Western Rite Terce today. 22nd April: EASTER II: 11:00 a.m. Western Rite Terce followed by the Saint Gregory the Great Liturgy in Saint Joseph's Chapel in Saint Mary the Virgin Church, Worton Road, Isleworth TW7 6ER in West London. 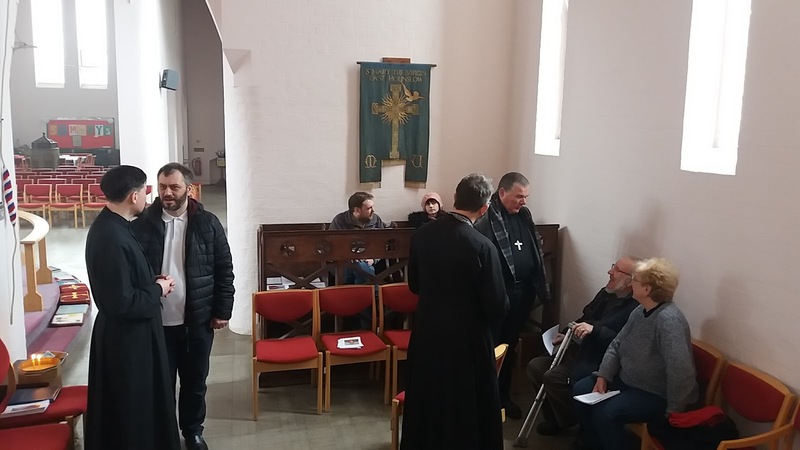 29th April: EASTER III: 10:00 a.m. Western Rite Terce sung at the Saint Aldhelm Chapel in Saint Dunstan's Parish Church, Saint Osmond's Road, Poole, BH14 9JG followed at 10:30 by the Liturgy of the Antiochian Orthodox Church. 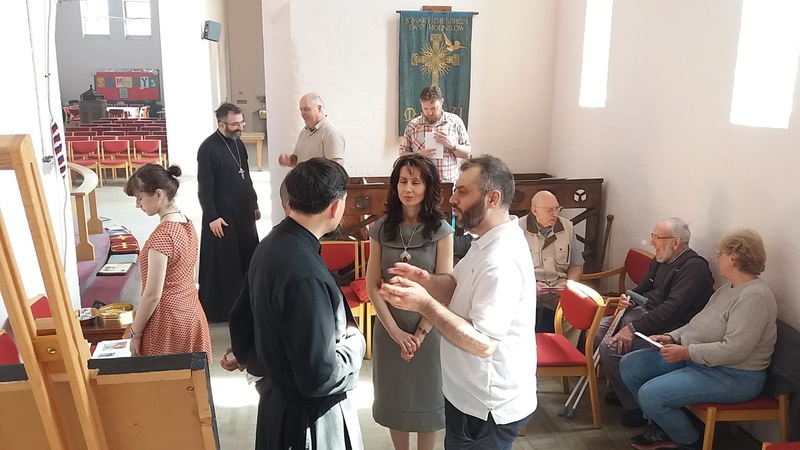 6th May: EASTER IV: 10:00 a.m. Western Rite Terce sung at the Saint Aldhelm Chapel in Saint Dunstan's Parish Church, Saint Osmond's Road, Poole, BH14 9JG followed at 10:30 by the Liturgy of the Antiochian Orthodox Church. 13th May: EASTER V: No Western Rite Terce today but at 10:30 a.m. the usual Liturgy of the Antiochian Orthodox Church at Saint Dunstan's Parish Church, Saint Osmond's Road, Poole, BH14 9JG. 17th May: The ASCENSION of OUR LORD: No Western Rite Terce today. 20th May: SUNDAY AFTER ASCENSION: 11:00 a.m. Western Rite Terce followed by the Saint Gregory the Great Liturgy in Saint Joseph's Chapel in Saint Mary the Virgin Church, Worton Road, Isleworth TW7 6ER in West London. 27th May: PENTECOST: 10:00 a.m. Western Rite TerceWestern Rite Terce sung at the Saint Aldhelm Chapel in Saint Dunstan's Parish Church, Saint Osmond's Road, Poole, BH14 9JG followed at 10:30 by the Liturgy of the Antiochian Orthodox Church. Planned dates for celebration of the Western Rite Liturgy of Saint Gregory the Great at Saint Mary's, Isleworth: 24th June 2018.